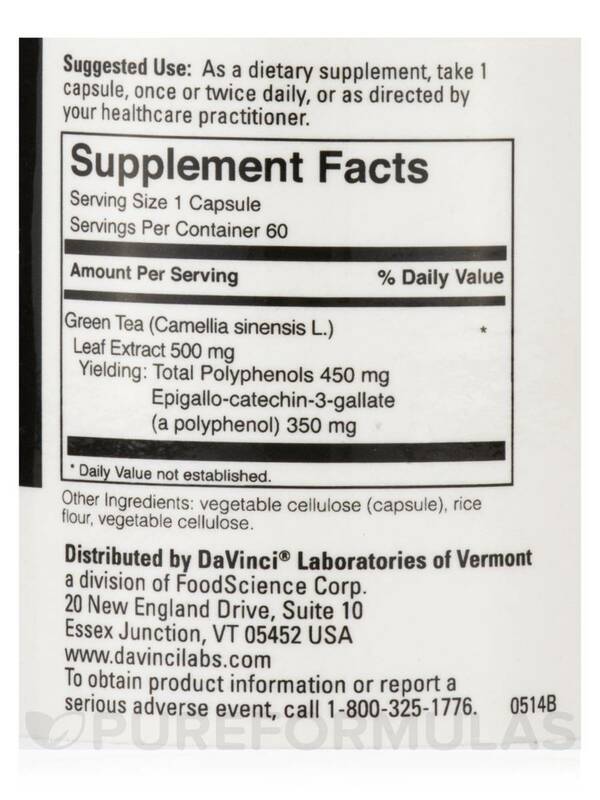 I love that Green Tea by DaVinci Labs are decaf (rare to find) and have no after taste! 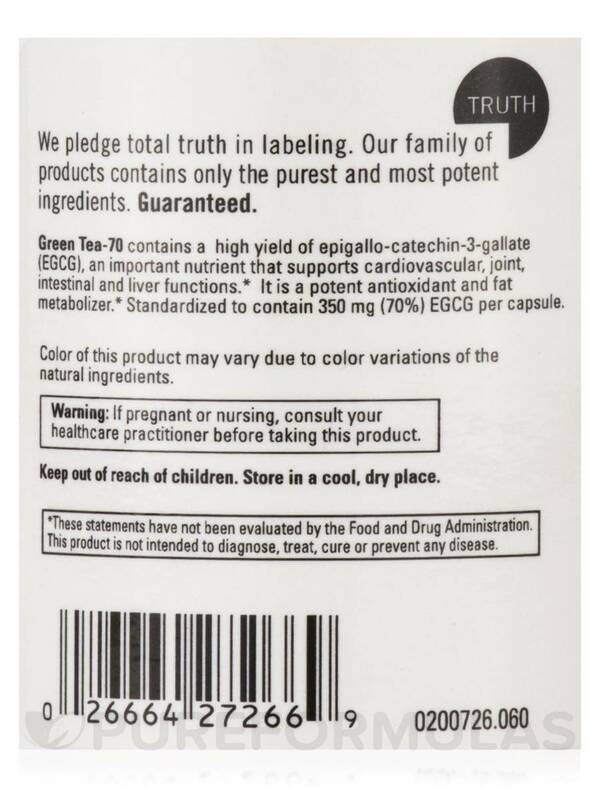 Want the calming and healthy feeling found in a hot cup of green tea‚ in a convenient capsule form? 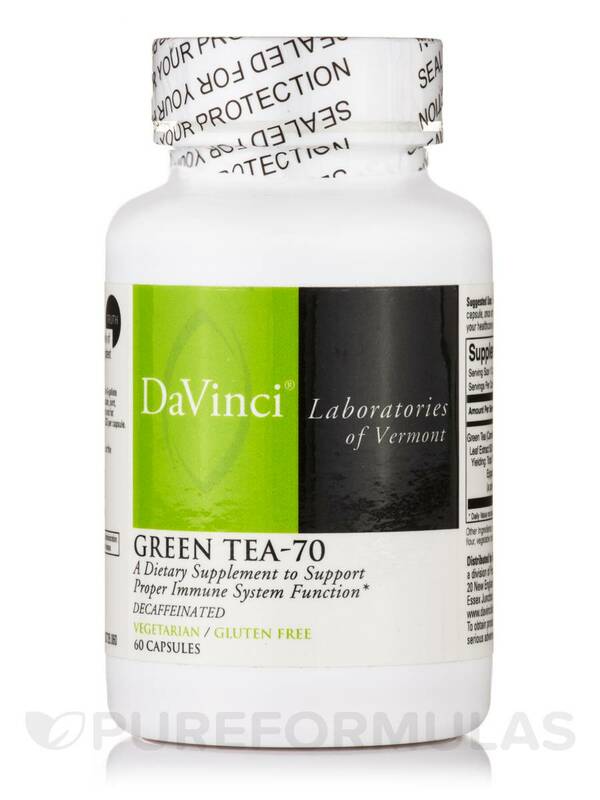 Green Tea-70 is manufactured by DaVinci Laboratories to help maintain cholesterol levels within normal ranges and support a healthy body. Green Tea-70 helps reduce the pain and swelling of joints. 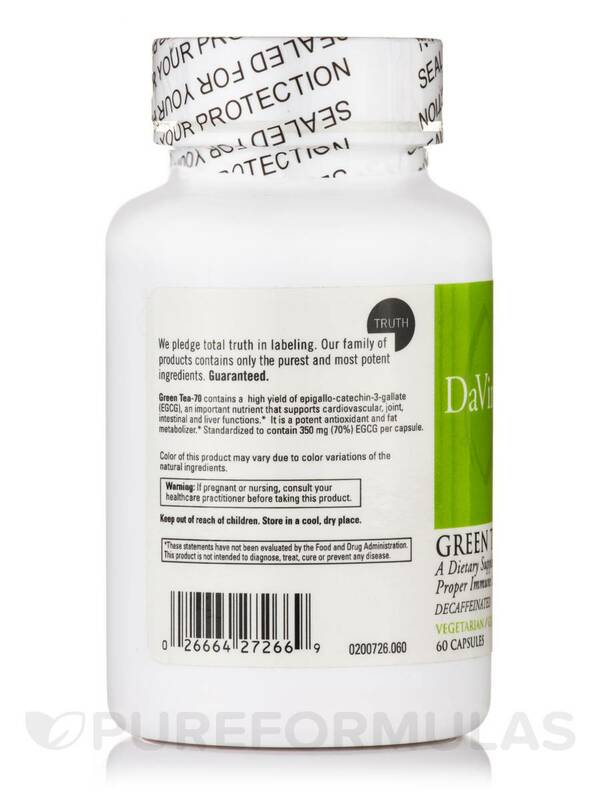 Green Tea Extract helps increase the activity of antioxidants and detoxifying enzymes within the small intestine. Green Tea Extract also can help regulate glucose levels to slow down the rise of blood sugar. Green Tea Extract has catechin content that may destroy microorganisms causing dental problems‚ and helps improve the ratio of good to bad cholesterol. Green Tea-70 helps protect collagen to promote the health of the skin. Other ingredients: rice flour‚ vegetable cellulose. 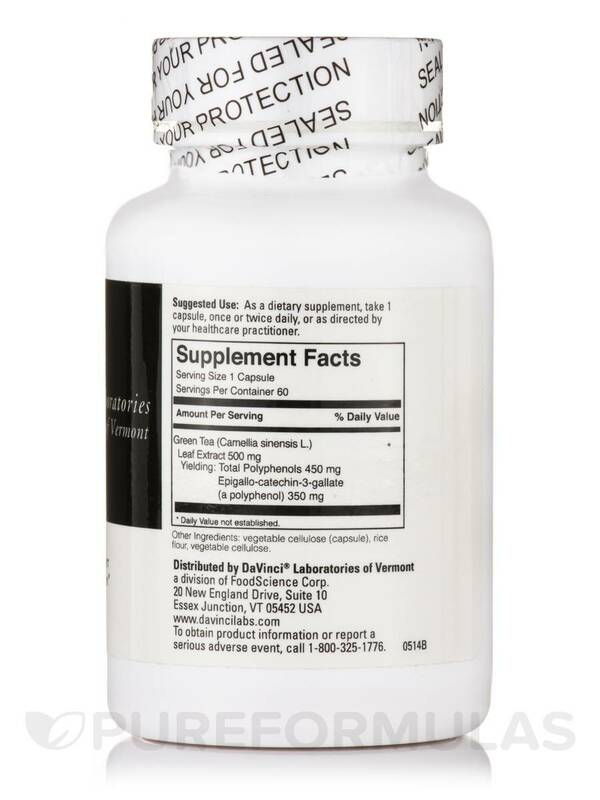 Suggested Use: As a dietary supplement‚ take 1 capsule‚ once or twice daily or as directed by your health care practitioner. This product is vegetarian and free of citrus‚ corn‚ egg‚ gluten‚ milk‚ sodium‚ soy‚ wheat‚ yeast‚ added sugars‚ synthetic dyes‚ artificial flavorings and preservatives.